Criminal justice reform in the United States is a large-scale issue entangled in systemic complexity and historical patterns of racial inequity. According to the Sentencing Project, a national initiative working for a fair and effective criminal justice system, the United States today holds more than 2.2 million people behind bars. People of color make up 67 percent of that population. Beyond those currently incarcerated, approximately 77 million Americans hold a criminal record, which can impact their ability to find employment, education, housing, and access to other opportunities. While policymakers at federal and state levels can recognize the gravity of this issue and are willing to work across party lines to fix it, solutions to the problem are not simple. Putting an end to mass incarceration and excessive punishment in the United States requires intervention in the decision-making processes that enforce it at root levels. This is a point where Philadelphia District Attorney Larry Krasner believes data technologies can make a significant impact. It is why he has partnered with the Chan Zuckerberg Initiative (CZI), a philanthropic organization founded by Priscilla Chan and Mark Zuckerberg, to evaluate how data-driven technology can be used to help reconcile the problem of mass incarceration in Philadelphia and across the United States. Prosecutors hold substantial discretionary power within the criminal justice system. The decisions they make regarding who is charged, what crimes they are charged with, and the severity of their punishment have far-reaching, long-term consequences which can ultimately span across communities and generations. Although data is an abundant resource within the criminal justice system, prosecutors rarely use it to consider the efficacy of their sentencing strategies. Krasner and other reform-minded district attorneys across the country are seeking to change that approach. 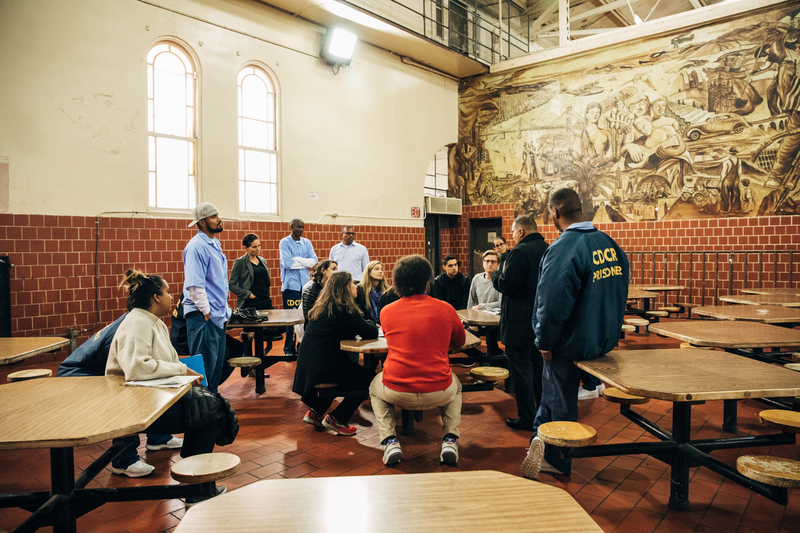 “A progressive, 21st-century prosecutor’s office must be innovative, data-driven and transparent,” writes Brooklyn District Attorney Eric Gonzalez in his criminal justice reformation plan, Justice 2020. Along with Krasner and Gonzalez, Kimberly Foxx (Chicago, IL), Diana Becton (Contra Costa, CA), Jeff Riesig (Yolo, CO), and Darcel Clark (Bronx, NY) are other district attorneys considering ways in which data-driven technologies can be applied towards reform. “What you’re seeing in Larry Krasner’s office and in other offices around the country are the very first indicia of a fundamentally different way of approaching the practice of prosecution,” explained Michael Troncoso, Director of the Justice & Opportunity project at CZI, in an interview with AL DÍA. These district attorneys will not rely on conviction rates as metrics of their success. “They need a new account of what it means to be a successful prosecutor if you’re not sending more people to prison,” said Troncoso. “That’s very hard to measure,” he continued, “And those measures of success are absolutely necessary if we’re ever going to transform this occupation of prosecution from being an exclusively ‘tough on crime’ practice to being one that is balanced, restored, data-driven, and redemptive." CZI looks to provide progressive district attorney offices with the instrumentation they’ll need to take on the challenge of criminal justice reform, but emphasizes that technology alone will not resolve the problem of mass incarceration. Their intention is not to engineer a singular solution to this nuanced problem and deploy it in DA offices across the country, nor is it to deduct universal metrics to define a good prosecutor. With access to more advanced technologies and enhanced data, CZI believes that prosecutors are better enabled to ask deeper questions and develop more thoughtful, constructive solutions for the communities they serve.